Next month Archaia Press is re-releasing the novelization of Jim Henson’s Labyrinth, the 1986 fantasy feature (with David Bowie and Jennifer Connelly) which was later adapted as a novel by A.C.H. Smith — and illustrated by well-known fantasy artist Brian Froud, who of course also designed the movie and many of its characters. 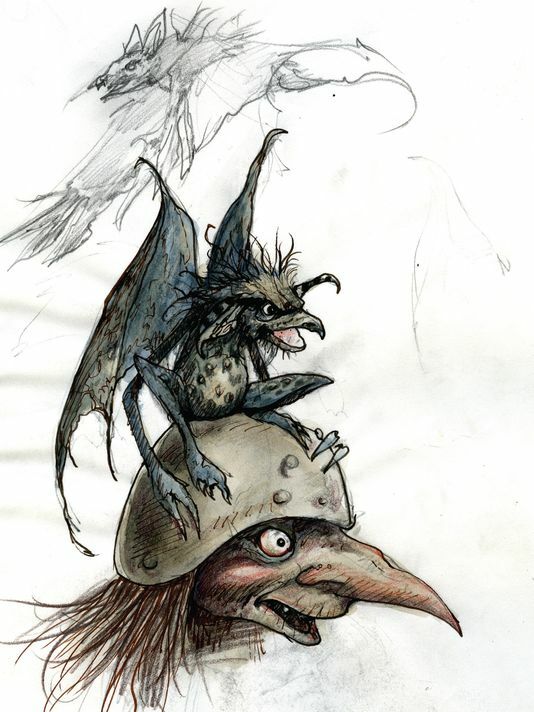 This new hardcover edition features a brand new collection of Froud’s goblin artwork and sketches for the film, recently uncovered, as well as notes and sketches by Jim Henson himself. USA Today has the story on this and other Jim Henson-inspired projects currently in the works at Archaia.